This easy-to-follow instruction guide provides a training system to create a steady, bombproof horse that respects and trusts his handler for a lifetime. Using a method that she developed while training therapeutic riding horses, longtime horse trainer Lisa Wysocky shows how to use a toolkit of everyday items—such as halters, lead ropes, long lines, plastic bags, toys, towels, and voice commands—along with a variety of specialized ground exercises, to desensitize and build confidence with horses of all types and in all disciplines. The result is an unflappable horse that quietly accepts sudden or loud noises and unusual objects and/or situations. 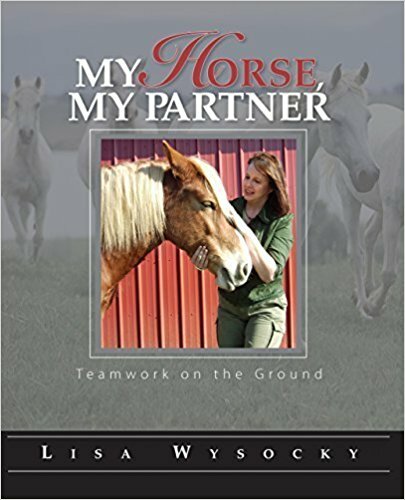 Illustrated with black-and-white photos throughout the book, My Horse, My Partner helps horse and human forge an amazing bond as they go through this process together.